David Conley joined Moore Ingram Johnson & Steele in 2012 and is an associate in the firm’s Litigation Department, focusing on civil litigation and appellate practice. David received his undergraduate degree from Western Michigan University (B.A. in Economics and Political Science, 1998) where he played varsity soccer. He obtained his law degree from the University of Georgia School of Law (J.D. 2004). 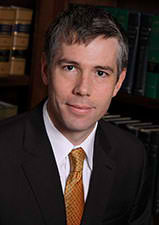 Prior to joining Moore Ingram Johnson and Steele, David served as a Staff Attorney to the Hon. George H. Kreeger in the Superior Court of Cobb County. David and his wife, Keri, live in Atlanta with their two children.